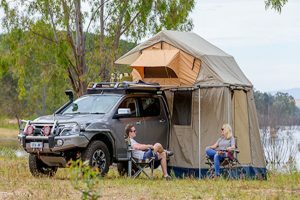 Rooftop tents are perfect for those who are heading off around Australia on extended 4WD trips. They can easily be set up in minutes, offer superior weatherproofing, and keep you off the ground away from various animals and insects. Below we review the most popular rooftop tents on the Australian market and conclude that the amazing Darche Panorama 2 with Annex offers the best quality and features. Traditionally rooftop tents have all been fairly expensive, but with a number of new entrants to the market, there are now offerings to suit all budgets. Many rooftop tents also now have an additional annex which provides additional storage and sleeping space - great for families or those with lots of gear. The main downside of rooftop tents is that you need to pack them up each time you want to use your vehicle and they are therefore not suitable if you are planning on staying in one location for a long period of time. 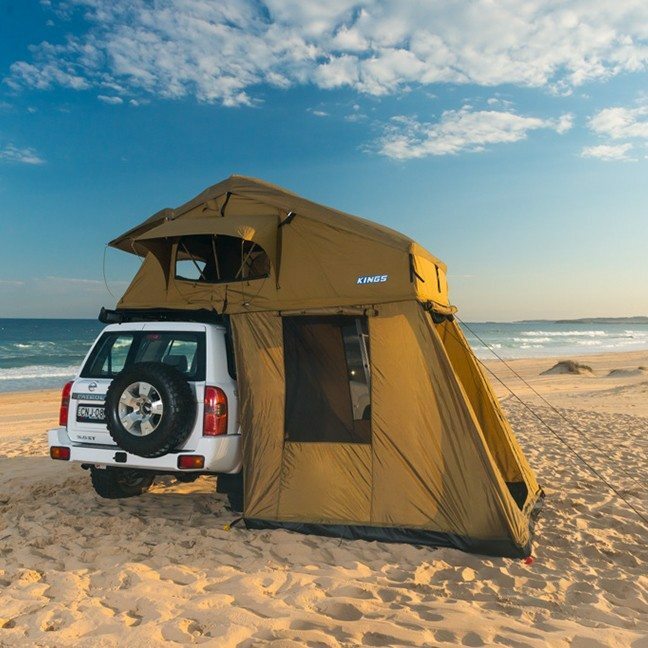 The Darche Panorama 2 is our pick for the best rooftop tent available in Australia. It's a high-end rooftop tent perfect for those who also like the idea of the additional space provided by its built-in annex. It has great ventilation and is built with the super high quality that Darche is known for. Its low profile design means it may be slightly more difficult to pack down than competitors, however, it also means less wind resistance when on the move. Overall an awesome tent with a high-quality build and good looking design. ARB is known for their high-quality products, great customer service and premium pricing – and the ARB Simpson III and Kakadu rooftop tents are no different. 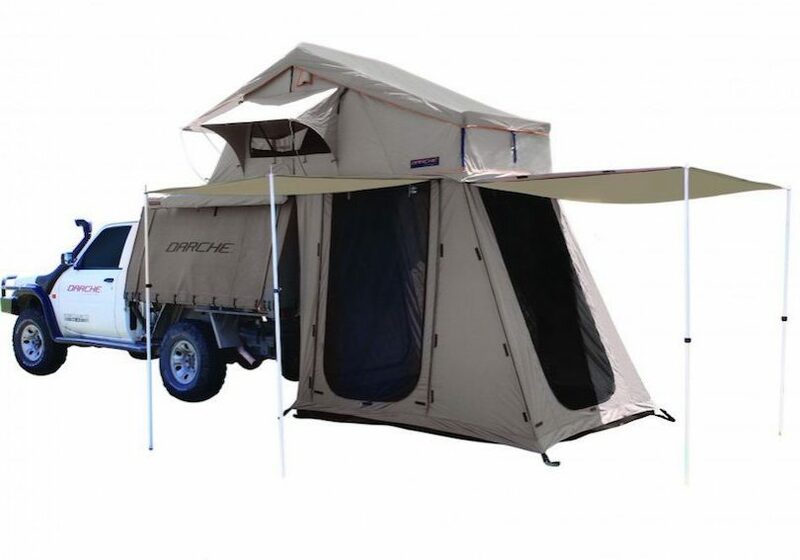 These rooftop tents are perfect for those heading off on extended trips across Australia and looking for a high level of quality and comfort and a tent that is sure to stand up against the elements. 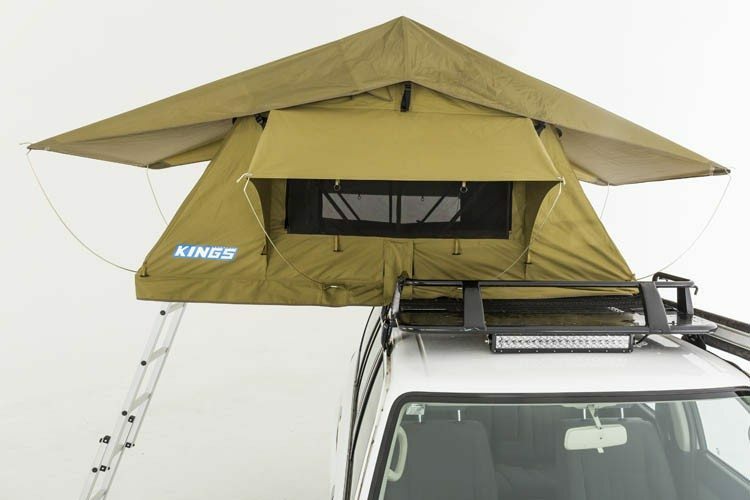 The Adventure Kings rooftop tents are probably the best value rooftop tents in Australia. 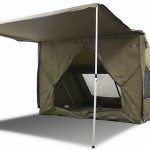 They are perfect for those who want the benefits of a rooftop tent but don't want to spend over $1000 AUD. 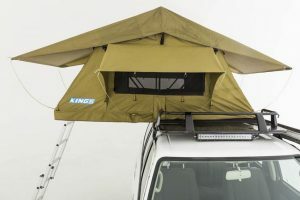 We would recommend the Adventure Kings range for those wanting an entry-level rooftop tent but don't want to sacrifice quality and functionality.